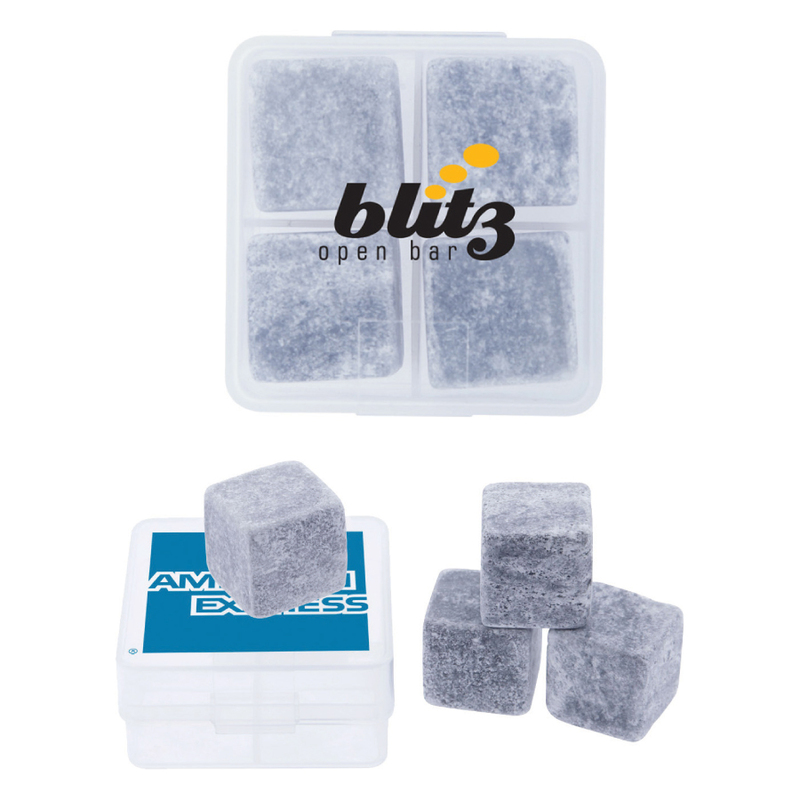 These ice blocks have superior thermal properties. To use, simply pre-wash ice block and store in freezer for 2-3 hours before use. When needed let the ice block stand for five minutes before dropping them into your drink. Add Epoxy Dome for $0.60(G) per unit. Epoxy Dome not available on 24 Hour rush service. Material: Soapstone, Dimension: 63mm w x 63mm h x 30mm d. Price includes : 3 Day Service* Pad Print - One Colour/Location. Setup is included.